I've had more than one conversation with a family member who has discovered Granddad's Commandery sword in the attic and thinks he has uncovered the Lost Treasure of the Incas. You burst a few bubbles when you tell them the Lodge has a closet full of them. I once heard an idea where the Lodge has a fundraiser to "resell" these Masonic treasures to its members, taking any money earned for some just cause. 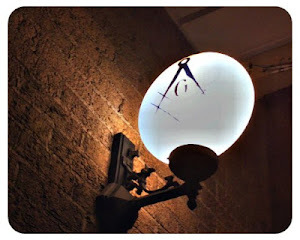 It's a great way to both honor the former owners and keep these little items "in the Masonic family." I've also found that the lazier, sneakier, greedier types think that consulting their local lodge historian is a clever way of getting a free ballpark appraisal before listing the heirloom on eBay, where it often fails to sell for some crazy Buy-It-Now price. Just look at all the things listed--legions of cynical sellers trying to unload dad's or grandpa's beloved masonic stuff for whatever ca$h they can get. I do agree, not many of our lodges can handle donations from families of certain items. Diplomas and pins, coins and books can become more of a burden than significant. I have at times had to refuse certain items due to our storage capacity. 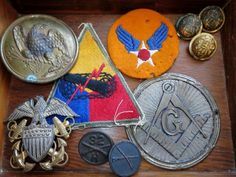 With 26,000 Masonic items in our collection, there is a time to determine what to take and what not to take. I fully agree. Diplomas, pins, coins, books can be overwhelming to most Masonic lodges that are given by past members families. Even in our collection of 26,00 0 pieces there is a time we have to say no to this or that. We just do not have the room. Hard to say no when this item belonged to a member. I have always stated we can not save everything, but there are diamonds in the rough. I just hate when I hear about families or lodges that throw away items, that breaks my heart.